Moderate Momma: How does she do it? Babywearing! Before having a baby, I thought, "I should get one of those carrier thingys" and that was the end of my thought process on babywearing and I honestly hadn't even heard that term yet. 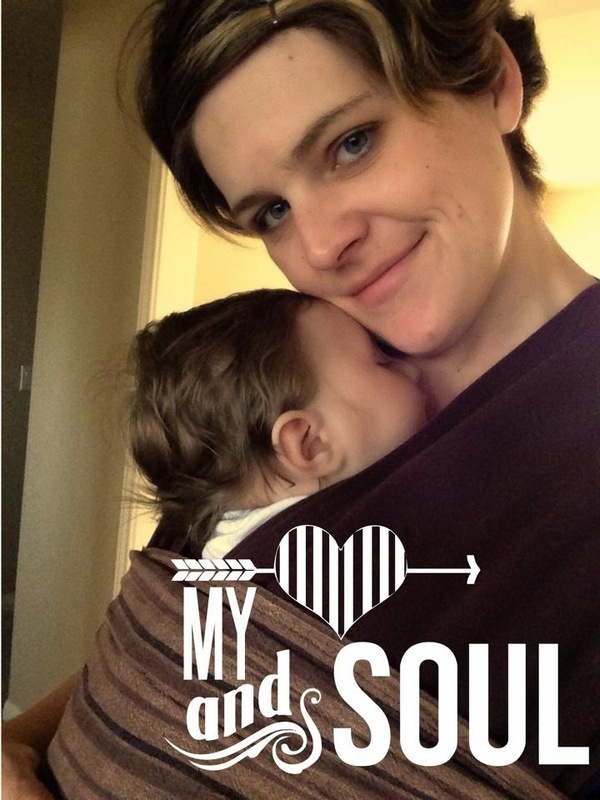 As I do with most purchases, I started doing a little research into infant carriers and came across the term "Babywearing" and realized that there was much more to learn. Anyone who has seen The Hangover has seen a Baby Bjorn and understands the concept...baby is close and your hands are free, but I had no idea how many carriers there were to choose from, the benefits of wearing your little one, and the community of awesome babywearers I would meet. Helps with colic/reflux: Arlo had acid reflux and needed to be held upright for an hour after each feeding. 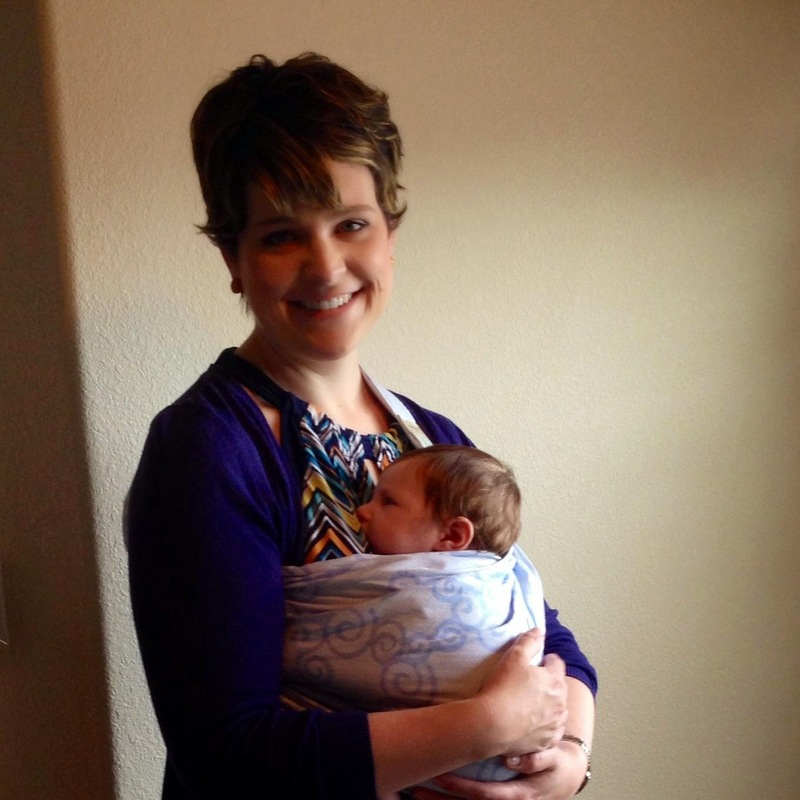 When you're feeding your newborn every couple of hours, this means you are in essence holding baby ALL DAY LONG. With baby wearing, I was able to feed him and tuck him in close to me. He would doze off and I would be hands free to work. AMAZING! Tummy time replacement: Arlo really, really hated being placed on his tummy. Probably due to his reflux and his stubborn nature that he comes by naturally. :) Tummy time has become necessary since we have adopted the Back to Sleep campaign. Babies spend much of their time on their backs (in a crib, stroller, pack and play, carseat, etc.) All of this time can lead to a flattening of the back of the head and weaker neck muscles. I'll be honest with you, we did tummy time maybe 5 times in the traditional sense. The melt down hysterics just weren't worth it. Thankfully, I found out that babywearing doubles as tummy time! When baby is in an upright position in a carrier, their core muscles are constantly working. 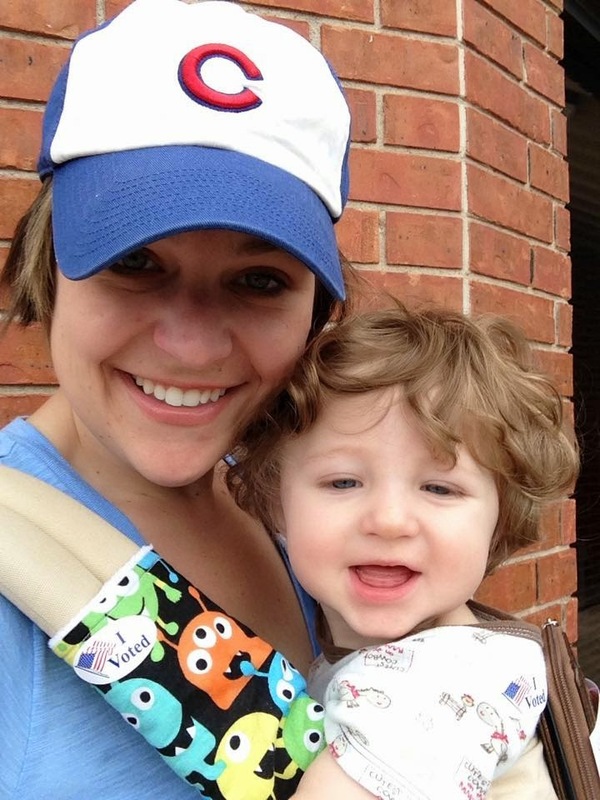 A Happier Momma: Studies have shown that babywearing can decrease postpartum depression. While I didn't have this struggle, I did find I was much happier babywearing. I felt freedom to get things done around the house, venture out to run errands, and just get out in some fresh air for a walk without the burden of carrying a carseat, juggling a stroller, or exhausting my arms. 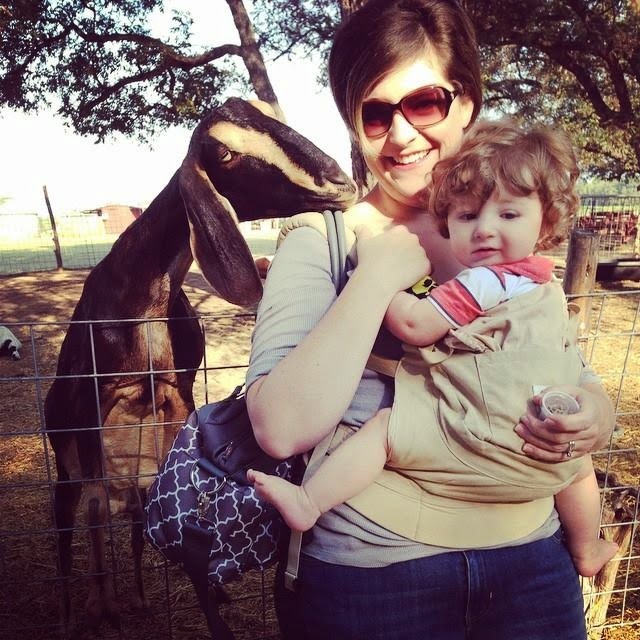 I hosted a bridal shower when Arlo was 6 weeks old with him snuggly against me in a sling, we went to a farm and met some friendly and not shy goats, and Arlo even went with me into the voting booth on election day! "Aren't you worried he'll be too clingy?" Nope. I don't think you can spoil babies. They aren't milk! Arlo is now 11 months old and likes to play independently, goes to other caregivers happily (most of the time), and is all about trying to do things himself. So you think you might want to babywear but don't know where to start? I started out with a Moby wrap. This is a pretty popular beginners wrap. They are sold at major retailers like Target, and are relatively inexpensive ($40 - $50 new). You can also frequently find these at resale stores like Kid 2 Kid and Once Upon A Child in the $15 - $20 range. The Moby is essentially one really long piece of fabric that you wrap around your body and tuck baby into. It takes some practice to get comfortable with the wrap, but I highly recommend this for starting out and until the baby is about 15 lbs. 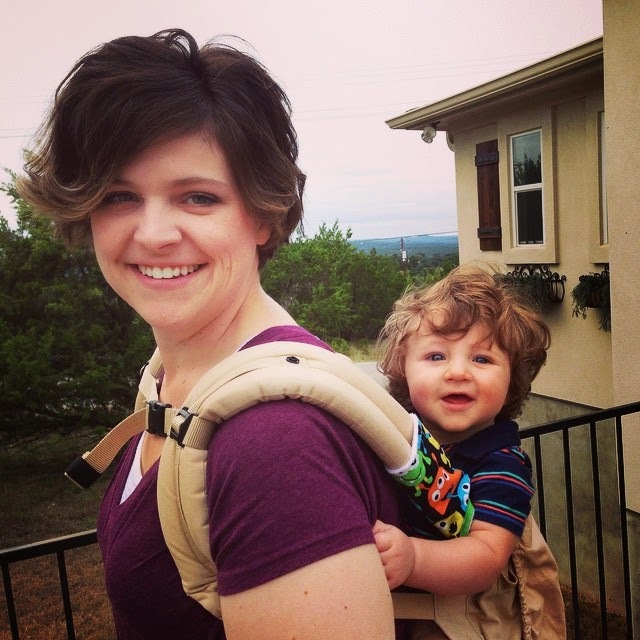 Once Arlo got a little bigger we switched over to an Ergo Baby Soft Structured Carrier. I'll likely be able to use this until he's about 2 years old so at $120 it's been a sound investment and just about the only piece of baby gear that we use absolutely every day. Hannah, it's really wonderful! It has made our first year as parents so much better! We have an Ergo Baby and carried our over two year old in it last weekend to a Monster Jam! :) He loved it! It allowed for us to walk sanely from the parking lot to our seats without having to worry about a stroller or loosing him in a crowd! I literally don't leave home without it. It makes grocery shopping so much easier too! I remember when we had Sydney I got some cheap Winnie the poo one from the store. I just wanted one for long walks and hikes. I can totally see now that you should get nicer ones when looking at it. I thought that any one would do. But now they have so many different kinds! It can be overwhelming. And there's a whole language of terms and abbreviations with ️babywearing to boot! Joining our local BWI chapter was such a help! Baby wearing is the best. I have several younger siblings and I've nannied for a good portion of my young adult years so I know the importance of a good sling or wrap. No one enjoys getting an angry baby a bottle with only one hand! This is really interesting. I didn't know wearing doubled as tummy time! Quite frankly I don't much about tiny humans, but noted for future reference! So much easier (for us). With three kids under five years old, I honestly don't know what I would do sometimes if I didn't wear my baby. When I was pregnant with my first I won a nice Bjorn, one of the ones that has the back and hip support. Then with my second I also bought a wrap that is waterproof and meant to be worn in the water, which I have LOVED so much for my little water babies! My parents had front and backpack baby carriers back in the 90s when all of us kids were little--I think they're really practical! My husband was just talking how he's looking forward to carrying our little ones in a front or backpack in the future! love this. I just did a babywearing post recently as well. The clingy thing - I've worn both my kids. One is clingy, the other -not at all. It's just them and has nothing to do with the babywearing. I hate when people say that. Also, what's wrong with a "clingy" baby?